There are lots of ways of getting to Frome, as well as around town. Here you’ll find transport information on trains, buses, parking and electric car and bike hire. Frome is striving to be a sustainable town, and transport is no exception, so be sure to take advantage of our public transport and our ebikes, ecars and electric car charging points. In town, many places are also within easy walking distance. Be sure to look through our maps to find where to go, or visit our plan your stay page to find helpful information for your visit to Frome. 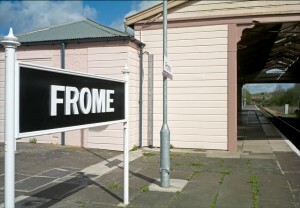 Frome Train Station, located on Portway, provides local people with trains to destinations including London Paddington, Weymouth, Bath and Bristol. You can plan your journey on the GWR website or Trainline. Timetables are also available at the Town Hall and the Discover Frome Information Point. There are several bus services running through Frome and creating public transport links to and from nearby towns. To find routes and timetables, follow the links below. Some timetables are also available at the Town Hall and the Discover Frome Information Point. serving Packsaddle, Stonebridge, Market Place, Lower Innox and Whatcombe. These services replace Frome Local Service 412.
via Chapmanslade and Dilton Marsh. This service replaces the 58/X58 bus. via Nunney, Whatley, Chantry, Leigh on Mendip, Stoke St Michael, Cranmore and Doulting. via Buckland Dinham, Faulkland, Writhlington, Kilmersdon and Radstock. via Oldford, Beckington, Rode, Holt and Broughton Gifford. 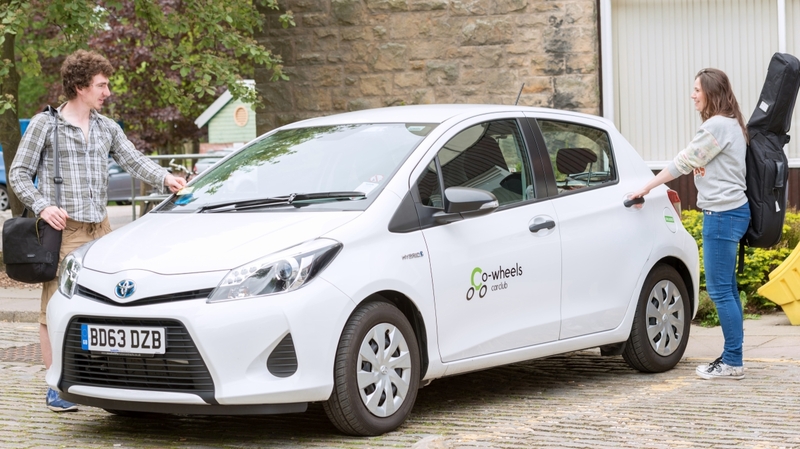 Frome’s car sharing club Co-wheels is expanding its presence in the town with a second car and residents have the chance to sign up as members for just £1! Car sharing is the cheaper and more environment friendly alternative to owning a car. Working with Frome Town Council, Co-wheels will now have two low emission cars in Frome – one outside the Town Hall and another at the Cheese and Grain car park. These are available on-street 24/7 for members to use – once you have signed up just book online or via the smartphone app when you need the car and you only pay for the hours you use plus a small mileage charge. If you want to find out more and take up the special discounted offer check out the Co-wheels website at www.co-wheels.org.uk/frome . The offer gives you the chance to save money straight away – membership is only £1 instead of the usual £25 and you get £25 of driving credit added to your account to help pay for your first hires. Prices start at £5.50 an hour for the Toyota Yaris petrol-electric hybrid cars, plus 18p a mile, but that includes all fuel, insurance and other costs. 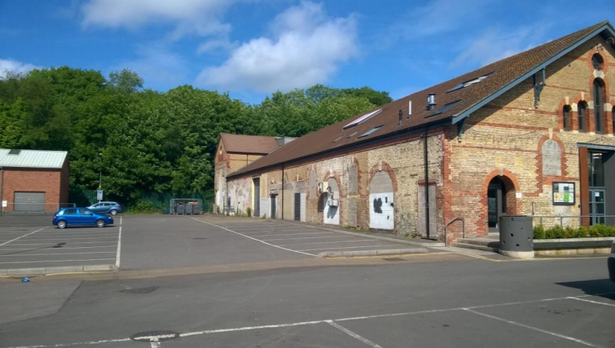 There is also a 16amp Type 2 Mennekes socket located at the Frome Medical Centre car park (far end of the first half of the carpark in front of the medical centre). For those traveling out of Frome, you can find more charging points via the Open Charge Map. 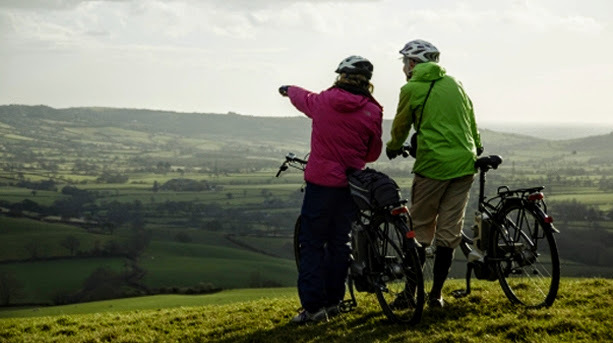 Cycling is certainly one of the best ways to get around, both in Frome and in the surrounding Somerset countryside. You can do everything from a challenging trail to a wander around Frome or villages in the area, while getting a bit of exercise in. And although the surrounding hills can be a bit of a challenge, Frome now has a local hire scheme for electric bicycles, which can help out on the tough bits. Find out more about hiring ebikes.